Everyone wants a piece of that Empire success, so expect the show to be name-dropped in every TV-related interview. 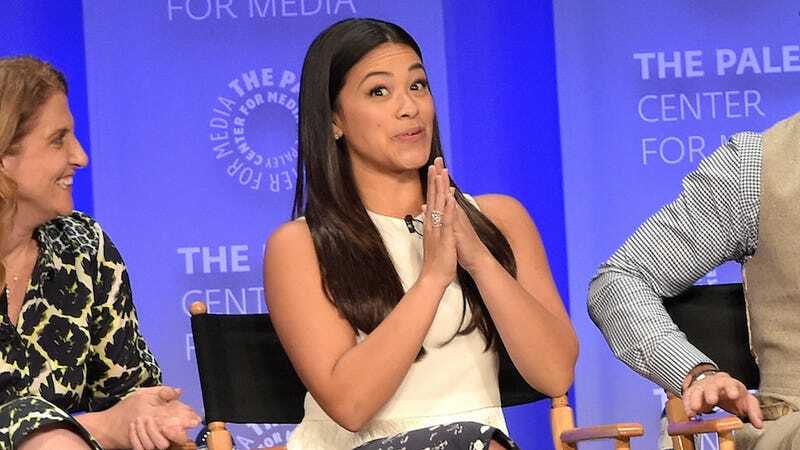 Jane the Virgin actress Gina Rodriguez referenced the popular series while calling for more Latino representation at a PaleyFest panel on Sunday. The session featured Jane the Virgin executive producers Ben Silverman and Jennie Urman (who's also showrunner), as well as Rodriguez and her primary co-stars. When it comes to taking roles, Rodriguez exhorted Latino actors not to stop and ask whether the casting director is looking for a Cuban or a Dominican or a Mexican. People from each of those countries can define significant differences with Latinos from other countries, but outsiders are much less likely to do so. "We need to unite. They see us as one community — we need to be one community. Let's do that, use our power as Latinos, whatever culture you identify with and celebrate." Rodriguez then invoked the power of Empire, saying, "Let's get our viewership, just like Empire." "I am so happy that I represent so many immigrants who come to this country and work so hard — we are part of the fabric of America. It's not just about 'these Latinos.' I am representing a demographic that exists. I put a human face on the hundreds of thousands of illegal aliens who are here who are not criminals, (who) are hard-working people."